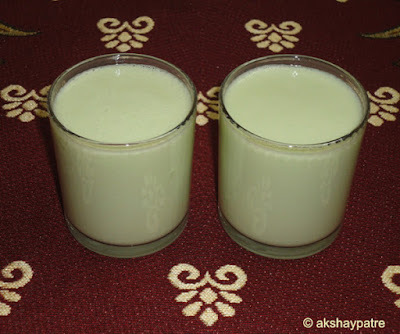 Cucumber lassi or kakdichi recipe - We all Indians suffer from scorching heat and very often make some cool drinks such as lassi, sharbat, lemonade, fruit juice, panna, etc. to beat the heat. Whatever the fruit I bring I blend it to a smooth puree, chill it in the refrigerator and serve as a drink. Vegetables like tomato, carrot and cucumber are also used to make cool drinks. These drinks not only refreshes and cools the body, but also hydrates the body. 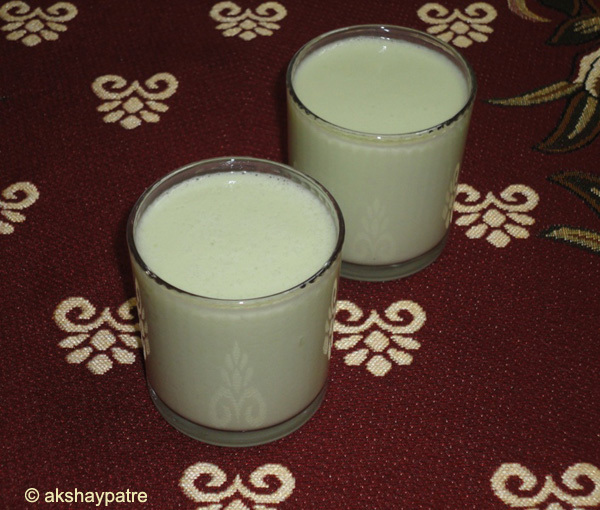 A glass full of cucumber lassi is a perfect cool drink that one can enjoy during summer season and is a much healthier drink in comparison to carbonated drinks. It hardly takes few minutes to prepare if you chilled the yogurt well in advance. Before you make the lassi, preferably keep the cucumber and yogurt in the refrigerator at least for an hour, so that, cold lassi can be prepared instantly. Try out this thirst quencher lassi with all goodness of cucumber and yogurt. Peel and grate the cucumber in a large plate. Put the grated cucumber in a mixer jar. Add the chilled yogurt and blend it to a smooth lassi. Add salt and mix. Transfer the lassi to a vessel. Keep this vessel in the refrigerator for about an hour. Pour in the glasses and garnish with some pepper powder if you like it. Serve the cucumber lassi chilled. 1. Wash the cucumber thoroughly. 2. Peel and grate the cucumber in a large plate. 3. Put the grated cucumber in a mixer jar. 4. Add the chilled yogurt and blend it to a smooth lassi. Add salt and mix. 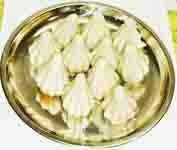 Transfer the lassi to a vessel. Keep this vessel in the refrigerator for about an hour. 5. Pour in the glasses and garnish with some pepper powder if you like it. Serve the cucumber lassi chilled.